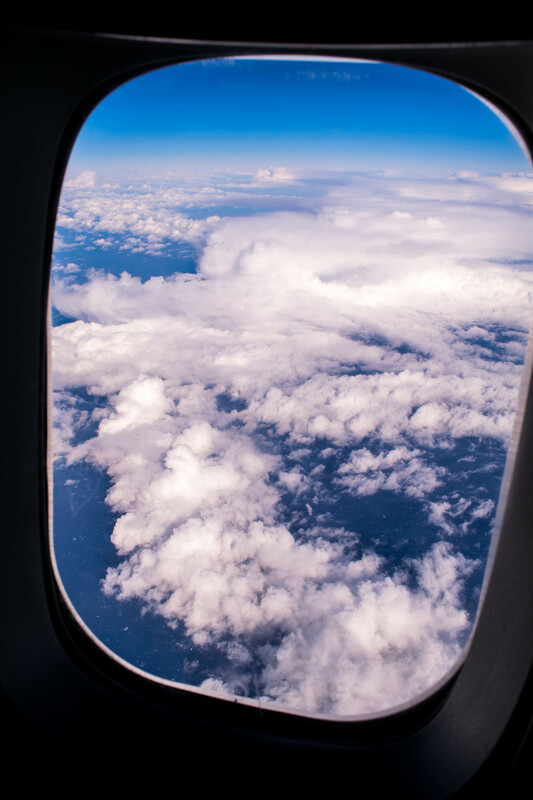 There are two main ways to see the continent; the most popular being a summer sightseeing fly-over from Australia on board a chartered Qantas 747-400ER aircraft. Another great way to visit is an expedition cruise by sea departing from various locations across Australia, New Zealand and South America. 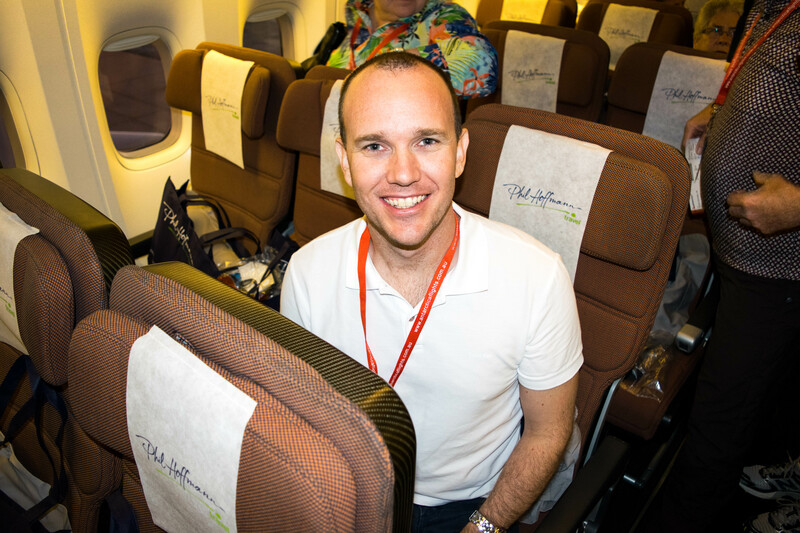 For our first visit, we chose the chartered Qantas flight onboard VH-OEH Hervey Bay, and in the early hours of Sunday, 8th February 2015, our flight from Adelaide to Antarctica was being readied at the departure gate. It may have been 0530 but the feeling was one of excitement and anticipation. 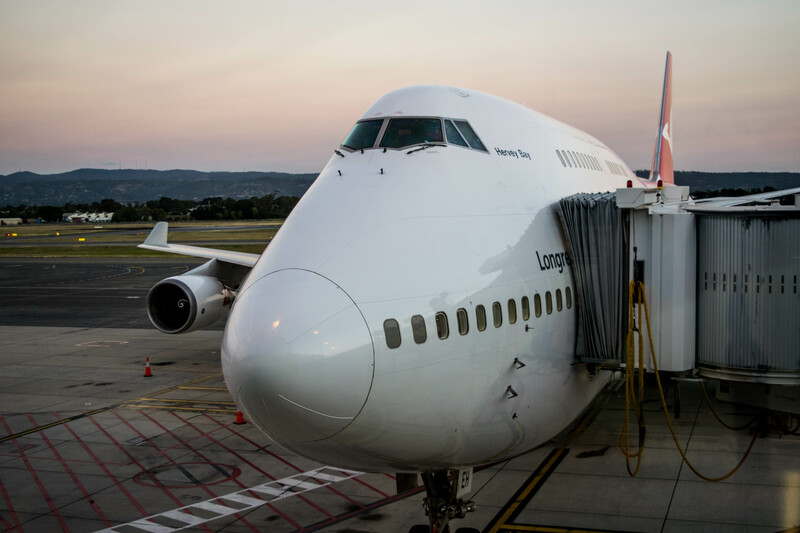 Our big bird; the mighty Qantas Boeing 747-400ER. In command of the long flight was Captain Rob Meek. Captain Meek is a veteran pilot with 30 years experience in the cockpit, with a majority of these spent on the sophisticated, and my favourite aircraft, the Boeing 747. 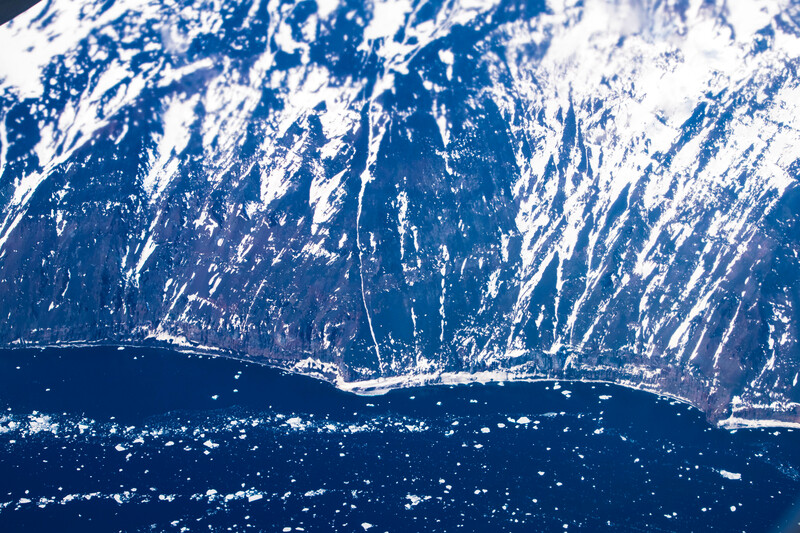 We chatted to Captain Meek before departure and asked him about this rare flight, the route we were about to travel and what we could expect upon arriving in Antarctic air space. How long have you flown for Qantas? How long have you been on the 747? Well all but six years of that have been on the 747 in one rank or another. I started on the 767 but have been long-haul the whole time. I got my command on the 767 and came back to jumbos. I hear you’re the veteran of these flights. 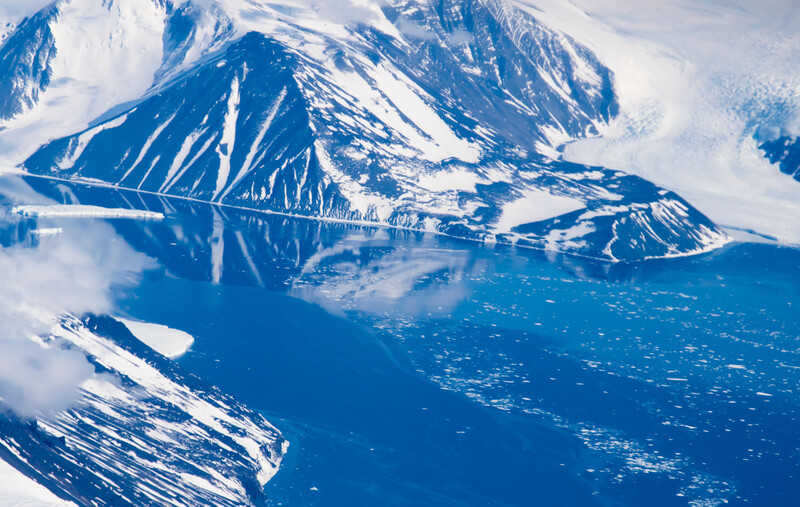 How many Antarctica flights have you made? I’m not the veteran, Peter, the other Captain flying with me today is the veteran, but we share these flights between five pilots. There are a few different procedures for Antarctic flying so we are all specially trained for it. I’ve done five of these flights and Pete has done sixteen or seventeen. So we mix it up a bit, this week I’m in Command and Pete is my co-captain, because we always have two captains, and next week I’m the co-captain with another guy who will be in Command, so we mix it up a bit. How does flying over Antarctica differ to flying over ocean or land, are there any unique challenges? Normally when we do a trip we would take off from say Sydney and go to LA, it’s a similar time frame for the trip, between 12-14 hours, so those flights we fly to the best altitude we can economically, but these Antarctic ones we are obviously sightseeing so we actually descend, and descend to a very low level and fly around so people can see things and we have different procedures for doing that, so it’s very different to our normal day-to-day flying. I understand there are 19 different routes we could take today. Which one are we doing for today’s flight? Yes correct, but out of Adelaide there are basically three, so we are going down on route two and directly towards a place called Dumont D’úrville which is a French station and whilst doing that we will fly over the south magnetic pole which actually sits off the coast. Everyone thinks it’s right in the middle, but it’s actually sitting off the coast, so we will fly over there and over Dumont, then to the east towards Cape Adare before coming back up on route one. 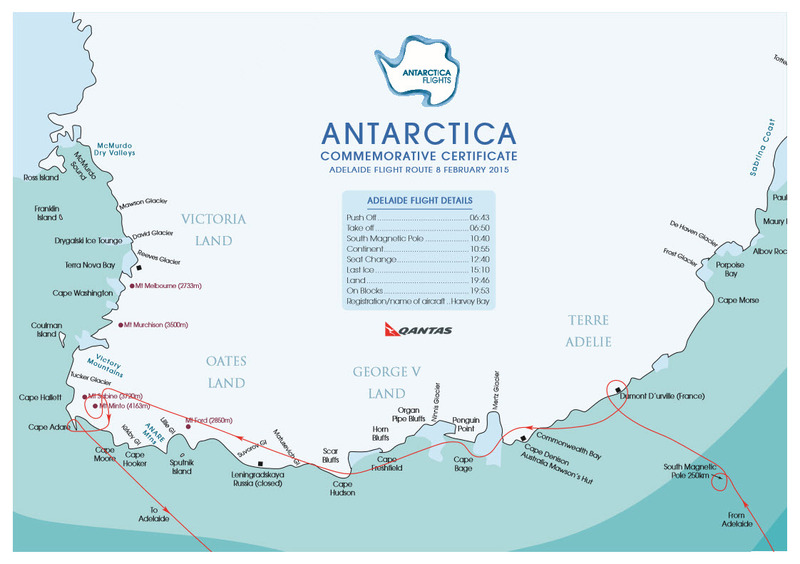 Our flight route map between Adelaide and Antarctica. 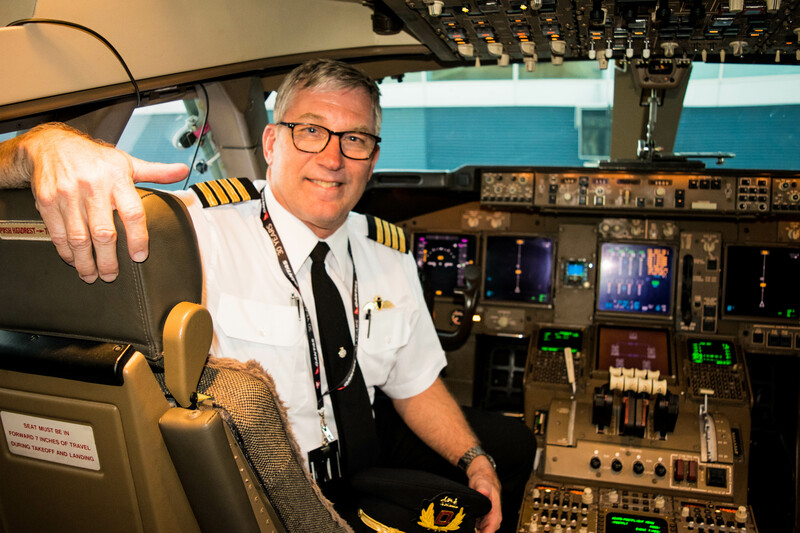 As a 747 pilot for many years, what’s your favourite destination to fly to? Oh look, I like them all. I like South Africa, it’s a fun country and you can go viewing game and there’s great steaks but other flights like to LA and New York. I love New York, who wouldn’t, it’s a great place, and the other day I was in Tokyo but they all have their different things that you enjoy. But most of us joke and say our favourite destination is Sydney because we’re coming home after doing a trip! But Santiago is a fantastic place too and great fun. What are your favourite destinations to holiday in when not at work? Tuscany, Italy. My wife and I love Italy, we love Paris and have done a couple of trips there as we enjoy that, and then Fiji, we have always enjoyed Fiji and we are going to Honolulu in May for a wedding and we are very much looking forward to that as we haven’t been there in a while. We go quite extensively to different places. We both enjoy America and Europe and South America. And what is about Tuscany you love? The food and wine of course? Oh yes, the food and wine (laughs). And it’s just a wonderful place, the people are so friendly and laid back, we just really connected with it and enjoyed it so much. 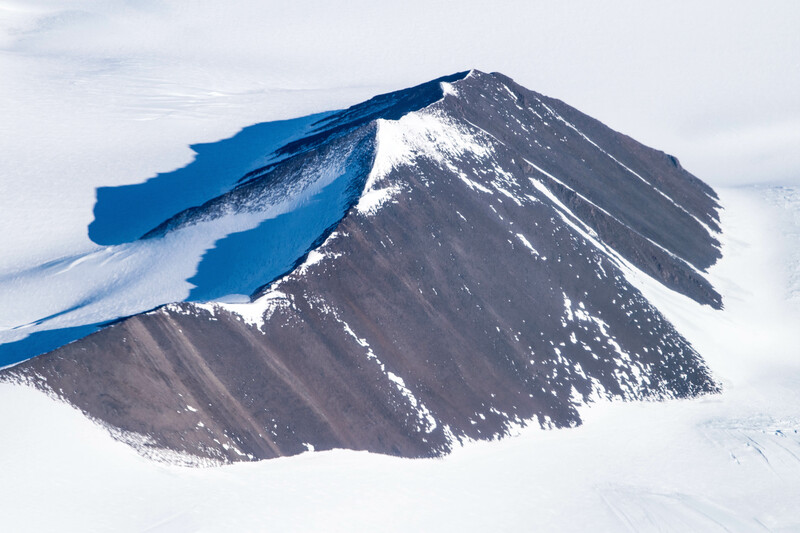 You have the best seat in the house for Antarctica; is the flight plan set or are you able to divert based on visuals? Absolutely, and that is exactly what this flight is about. Basically there is nothing to see between here and the continent, so we get there as fast as we can then we descend and its open slather, we’re able to go where ever we want to and where ever we can see things. Our whole focus is how to get good viewing for our customers. I know there are local scientists on board that commentate, do they help direct you as well? Not so much that, but we sometimes confer with them and ask what’s over there, ‘ah yeah there is something nice over there or an abandoned station over the hill that is worth looking at’, so we are always chatting with them. It’s going to be a fascinating trip by the sounds? Oh yes, it’s a great day. It’s a long day but it’s a lot of fun. As a pilot you are a travel expert. What is the one item you always pack in your bag? The one thing I always pack in my bag, would probably be my iPad, but everywhere I go I always pack a light jacket, a good quality light jacket that you can wear in 20 degrees or minus 20, it will save you. You are obviously jetlagged every week. What is your number one secret to beat jetlag? You can’t (laughs). Combat naps. When you’re tired take a couple of hours sleep, you’ll be amazed at how it refreshes you. We do it all the time, that’s pretty much all you can do. Even at night when you can’t sleep, you might sleep for a couple of hours, then read for a couple of hours and then back to sleep for a couple of hours. But there is no cure, sorry to tell you that (laughs). Onboard QF2905 ready to depart for Antarctica. Best job in the world getting to fly around down there !! !